There are many legends and the bible stories connected with the juniper. 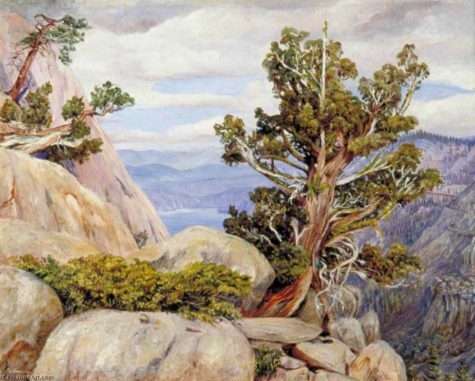 In a biblical story, Elijah was saved from king Ahab by sheltering under a juniper tree. A Brother’s Grimm story about a Juniper tree can be found here. Romanies say that any animal who seeks sanctuary from the hunter will be safe under a juniper tree. Make a tea from the berries to cure nerves and indigestion. Allow about a dozen crushed berries per person, pour over them one and a half pints of boiling water and allow to draw for seven or eight minutes. Strain, and sweeten with honey. 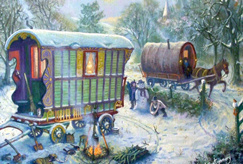 The gypsies know juniper berries to have disinfectant qualities which are beneficial to the whole system. They rub their gums with them to promote healthy mouths- this was once an old remedy for scurvy. Cultivation: Juniper is a hardy shrub often used as a groundcover. Plant both male and female plants if you want berries. 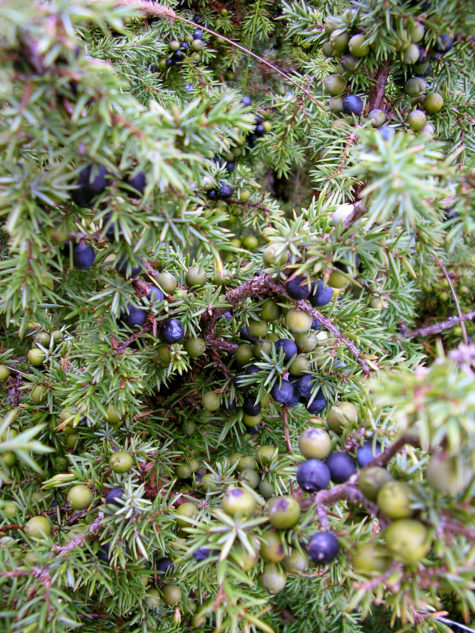 Culinary Uses: Juniper is the primary flavoring in gin, but it has other culinary uses. Use a few bruised juniper berries in marinades, soups, and stews. Juniper combines well with parsley, fennel, bay, and garlic. Grill meats with a juniper branch or two on the coals; this will give the meat a rich flavor. Magickal Uses: Juniper is used to protect against thieves, evil forces, accidents, animal attacks, ghosts, and sickness. Juniper burned as incense helps strengthen psychic powers. Medicinal Uses: Use poultices of juniper to relieve rheumatic and arthritic pains, as well as ulcers and inflammations. Juniper is a diuretic, but it acts by irritating the kidneys, and there are other, safer means available. Repeated use of juniper can cause kidney damage, convulsions, and personality changes. It should never be used by pregnant women.